Amazing functionality and quality at a reasonable price. The smartphone for beginners with a panorama display. Shows its value – from the display down to the details. 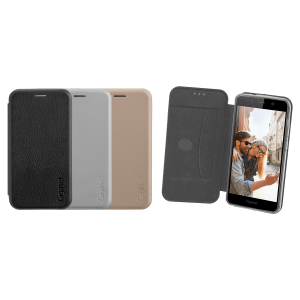 Gigaset GS370 plus with 4 GB RAM and 64 GB internal Flash storage, expandable up to 128 GB, 8 MP front camera, colors “Jet Black” and “Brilliant Blue”"
Gigaset GS270 with 2 GB RAM and 16 GB internal flash memory, expandable by up to 128 GB, colour "Grey" and "Racing Red"
Gigaset GS270 plus with 3 GB RAM and 32 GB internal flash memory, expandable by up to 128 GB, colours "Grey" and "Urban Blue"